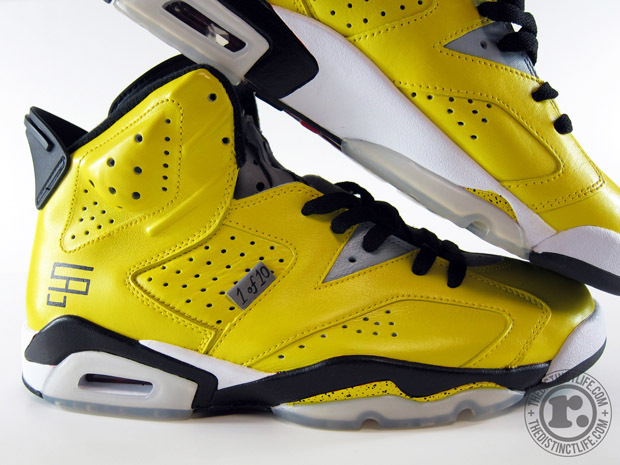 These Jordan 6 “Tokyo23 Custom” were made by sneaker customizer Eric “El Cappy” Lowry. He was inspired by the Air Jordan 5 Tokyo23 to create these custom Jordan 6s. This entry was posted in Sneakers and tagged 23, 6, air, custom, jordan, tokyo. Bookmark the permalink.